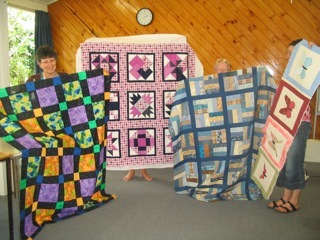 come along to help put the blocks together. 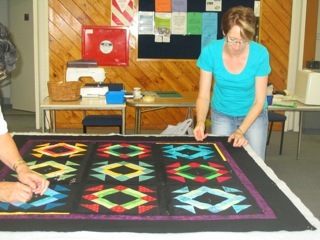 Sue and friend pinning the quilt sandwich. 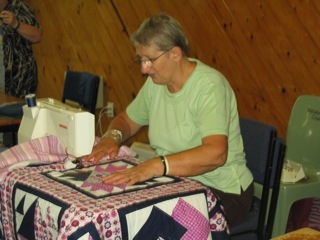 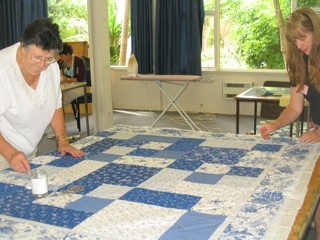 Jan and Jane pinning another quilt sandwich. 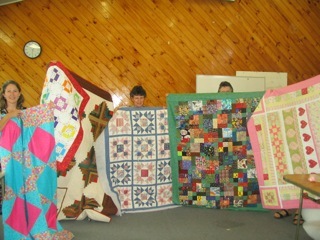 Some of the completed quilt tops. 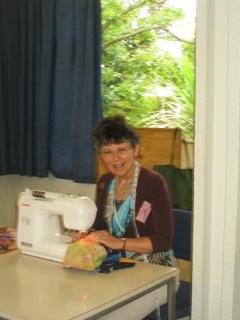 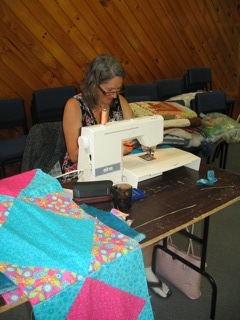 Judithea concentrating on her sewing. 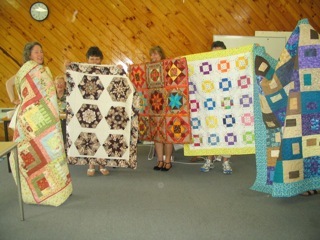 our current community group (Age Concern) in a couple of months.